General Policy: A valid picture ID and credit card are required at the time of check in. You must be 21 years of age to check in to the Hotel. Guarantee Policy: A deposit equal to 1 night stay plus applicable taxes is required at the time of booking and will be charged to your Credit Card. Note that the room rate does not include the $20 resort fee and the applicable charges of $5 per night, plus taxes. Cancellation Policy: Cancel by 3:00 PM local hotel time at least 2 days prior to arrival to avoid a 1 night cancellation fee. 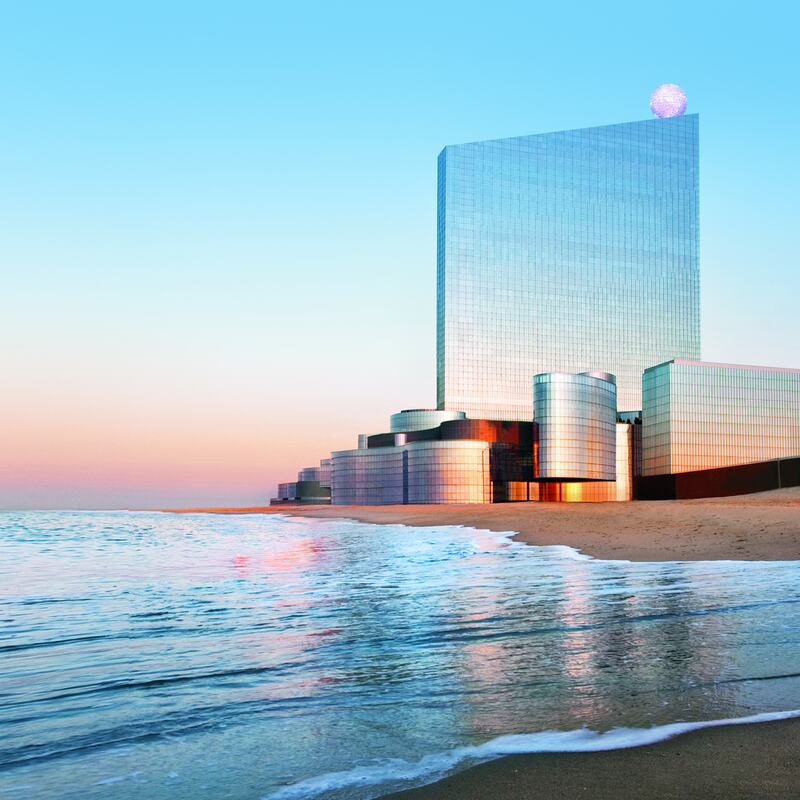 Take in the Atlantic City skyline from the comfort of your quarters. 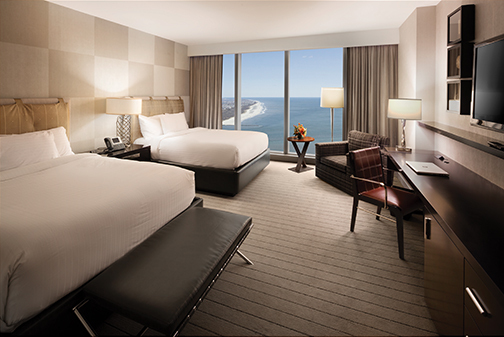 This gorgeous guestroom includes floor to ceiling windows with stunning views of the ocean, 1 plush king size bed, and a large, luxurious bathroom – making this a truly extraordinary experience. 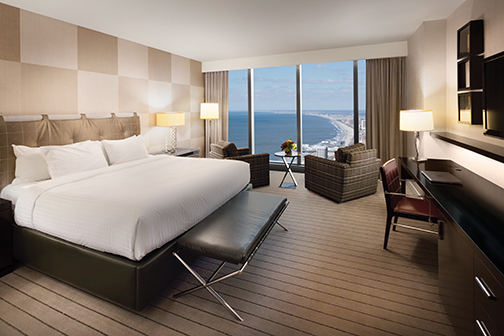 Ocean views await in this contemporary guestroom! With floor to ceiling windows, 2 plush queen size beds, and a large, luxurious bathroom. A bright, refreshing atmosphere perfect for a getaway.